Sharing GREAT NEWS!!! We are very excited in the Tasita camp. Tasita’s song ‘TOO BAD’ was again played on BBC Introducing on Brody Swain’s show on Saturday, and was chosen as the PENULTIMATE TUNE OF THE SHOW, the excitement is brimming here. 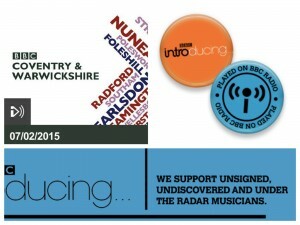 It gives us great encouragement to be chosen by a BBC DJ as Tune of the Show. Thank you DJ Brody Swain for giving us a great boost this week, and for playing TOO BAD two weeks running!